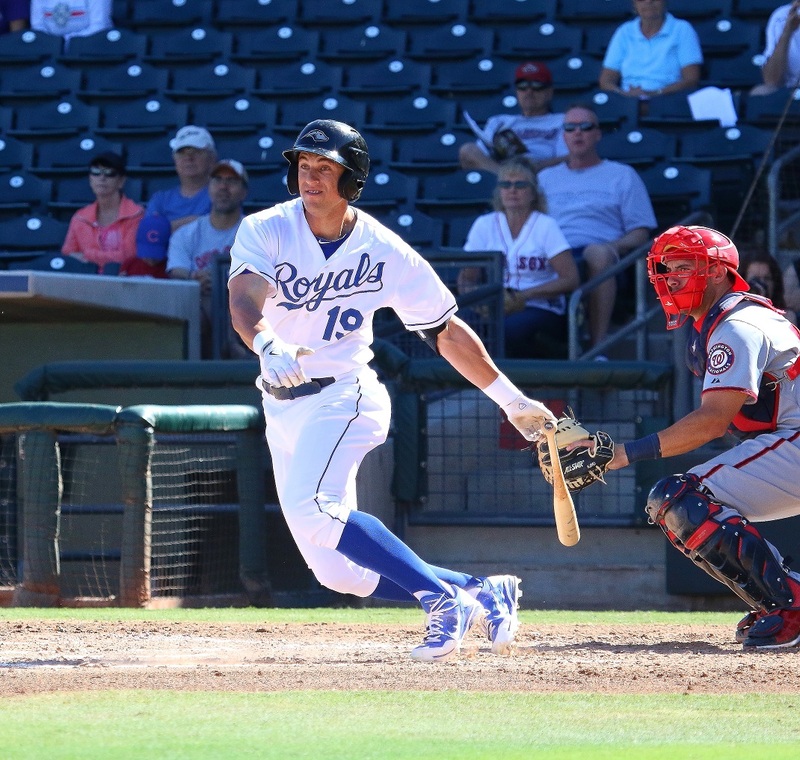 Most of us Kansas City Royals fans have gotten used to a new prospect being called up over the last few years and bring excitement to the team(at least at first). Just within the last three years we’ve seen the debuts of Salvador Perez, Eric Hosmer, Mike Moustakas, Danny Duffy and Yordano Ventura. The Royals are a small market franchise, so one of the things they will constantly have to do is develop homegrown talent and keep a steady stream of them running through their farm system. With that in mind, I thought I would give you a glimpse of a few of those prospects. 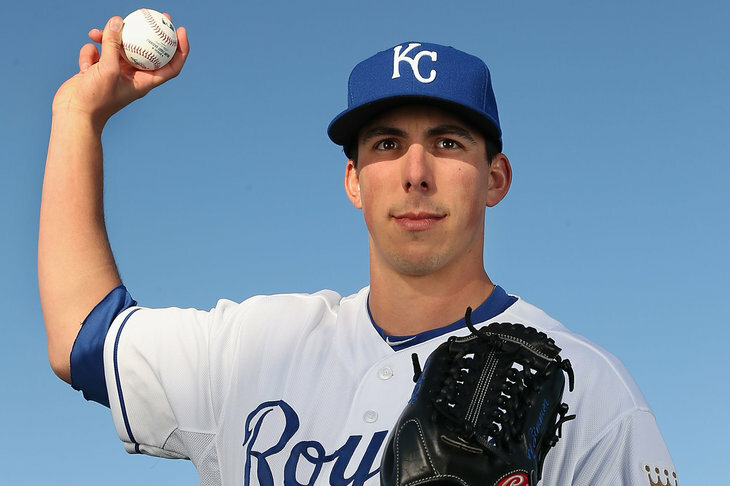 Now, I won’t mention Kyle Zimmer(pictured above) and Adalberto Mondesi, Jr., probably the two top prospects in the organization. Both are discussed fairly often and look to be major cogs in the Royals machines in the near future. Instead, let’s look at some of the other prospects that haven’t been hyped nearly as much. Sugar Ray Marimon isn’t just a guy with a cool name(although I will fess up to loving the name). Marimon isn’t rated as a top level prospect, as he is 26 years old(27 in September) and has been very average with most of his pitches. A full scouting report can be found here, and most of it reads that Marimon is questionable as to if we will even see him in a Royals uniform. Marimon has an average fastball(88-93 mph), a curve that has a sharp break(but he hasn’t been able to command it) and a change-up that could be pretty good but he seems to prefer the curve being his out pitch. To this point Marimon has been a starter, so one wonders if is moved to the bullpen he will add a few ticks to the fastball, improve on the curve and change and he could be a steady arm in the pen. There is quite a difference in velocity between his fastball and his two other pitches, so if he can show some improvement he could bump up to a bullpen job in the ‘bigs’. Right now Sugar Ray is in AAA Omaha for Kansas City so there is only more step to take to the big leagues. He also is one of the few prospects at AAA right now which shows that most of the Royals prospects are still a few years away. Marimon might be a long shot, but I think he could improve on a few things and make a shift to the pen he would be a valued arm. He could be nothing of note or a surprise for the Royals; either way, time is running out for the man they call Sugar Ray. Hit combined .298/.372/.429 at three levels with a good finish in Double-A. Hasn’t developed his power yet but hits for average, makes decent contact, has a good arm, and is just 20 years old. I think he’s a year away. Obviously he has dealt with issues as well early in his career, including a broken bone in his hand last year, which can sap your power. His numbers were encouraging enough for Kansas City to bump him up to AA Northwest Arkansas late in the year, where he held his own. His body frame is an issue(or more bluntly, his weight) to at least keep an eye, but scouts don’t seem too worried about and continue to say that he should develop power as he goes along. The hope is that Jorge is ready to man RF for the Royals no later than 2016. At the least he looks like he would be a solid corner outfielder who can handle the bat quite well. Who knows if he will rival Myers, but the Royals don’t need him to. They will just need him to be a solid major league outfielder. That would be an improvement over the last few men who have roamed right field at Kauffman Stadium. The thing that stands out to me about Binford is his exceptional command. Command for a young pitcher is a very valuable skill to have and Binford has it. He also keeps the ball in the ballpark with a career HR/9 of just 0.41. You put his command and keeping the ball in the ballpark together and you have something to be excited about. A full scouting report on Binford can be found here and almost universally the thought is that Binford is on the rise and could see his velocity increase, as he is just a little over a year removed from the famed Tommy John Surgery. 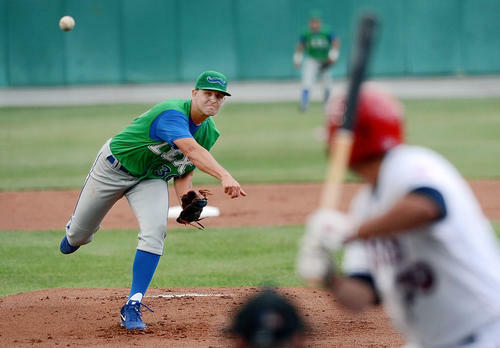 Binford seems like he is learning the art of pitching at an early age, which is a great sign for the Royals. 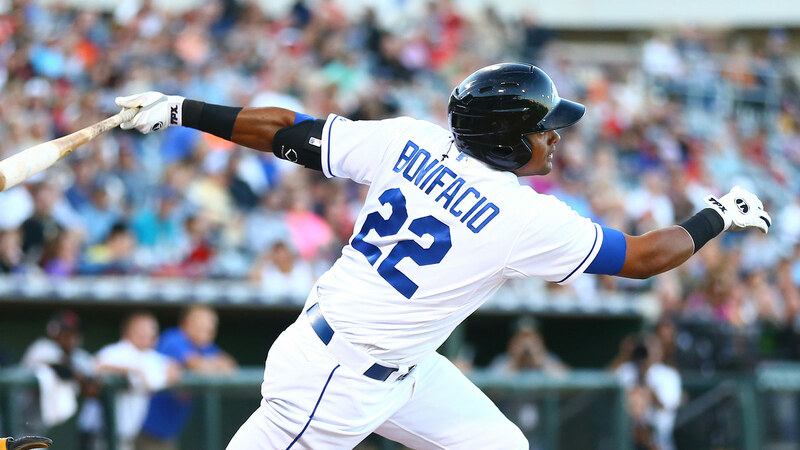 Between his BB rate, his precision location and still a chance at more upside, it’s easy to see how Binford has moved into Baseball America’s top ten prospects for Kansas City. I wouldn’t be shocked if we see Binford in Northwest Arkansas before the year is out. Adams is a man without a place. He’s played more center field than on the corners in his career, but he’s been spending more time in left and right as he gets older and moves up. He doesn’t have the power to be a productive corner outfielder, and while he has good speed, he doesn’t get on base quite enough to use it effectively, although his walk rate did jump up this season. He has the makings of a tweener, but he can do enough things right that he could carve out a niche for himself. There is less overall upside to Lane Adams than some of the younger outfielders in the system. The thing that excited me most about Adams is his ability to steal bases. 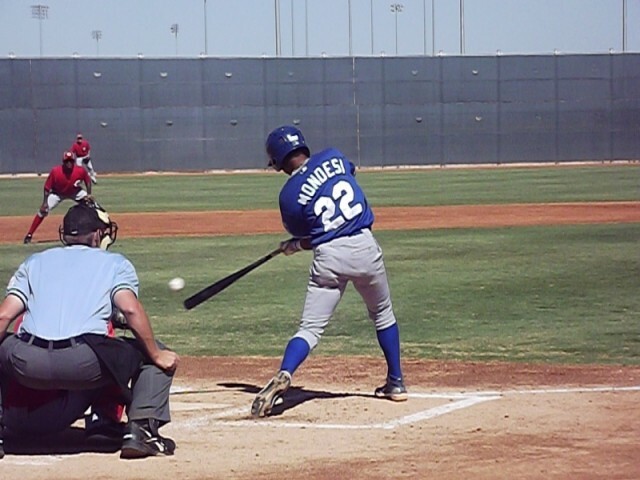 Adams has 73 stolen bases as a professional, and is successful 82% of the time. He was 15-of-15 with Northwest Arkansas. 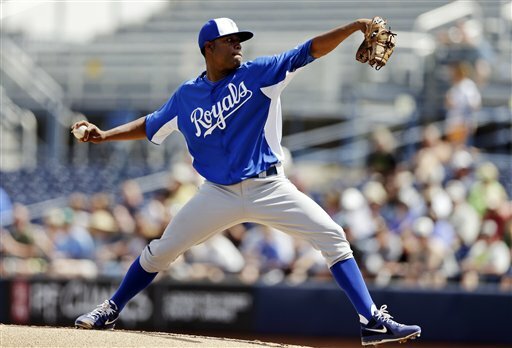 The Royals like him and he will continue to be given opportunities to improve his stock – beginning with big league Spring Training in 2014. From there, it is likely he will spend the season in NW Arkansas and Omaha. Adams won’t be a prospect at the level of Bonifacio or Myers, but there is always something to be said for guys who does a lot of things good and one thing(speed) great. We will probably start seeing the winds of change in the Royals outfield starting next year, and it’s possible we could see Adams name pop up as a guy getting playing time. When it comes to Almonte the Royals have a seriously advanced pitcher considering the fact that he has logged just 130 innings in full season baseball. Almonte has shown excellent command. His fastball sits in the mid 90s and his changeup was called the best in the system by Baseball America. At this point he feels like a safe bet to reach his mid-rotation potential (by pitching prospect standards) and could feature even higher if he can develop a quality third offering. Almonte has flourished through the system, and won’t turn 21 until April. He has a fastball that stays in the 91-93 mph range, but can hit 96 mph. His changeup, ranked the best in the Royals’ system, sits around 82-86 mph, which is a solid difference in velocity compared to the heater. What impresses scouts is the repition of his mechanics and his ability to keep his pitches low in the zone, which shows in his solid groundball rate of 45% and BB rate of 6.3%. We Royals fans have seen very few top pitching prospects over the past twenty years develop into top arms, but with Ventura, Zimmer and now possibly Almonte, there is reason for optimism in the Royals pitching prospects in the not-so-faraway future. That is just a taste of some Royals that are coming down the pipeline. There is still a chance that none of these guys could be factors, or all of them. What we do know is that the Royals have talent in the farm system and that is without me even mentioning guys like Jason Adam, Cheslor Cuthbert or Hunter Dozier. These are always fun to write, so there is always a chance a look to the future will happen again down the road. Now is as good a time to dream as any.